Christoph Edelbauer has been making wine in the famous Langenlois region of Kamptal since 2003. The hot summer temperatures are tempered here by the influence of the Danube River and the nearby forests. The long growing season and cool nights enable the grapes to reach full ripeness at the same time as preserving delicate aromas and freshness in the fruit. The soils around the hilly landscape of the Langenlois are mainly formed of rock known as Gfoehler gneiss. This is covered by a layer of chalky brown earth, and the more fertile loess and loam soils. The combination of climate and soil types create the perfect terroir for producing distinctive white wines, and the Kamptal is particularly lauded for its expressions of Grüner Veltliner and Riesling. 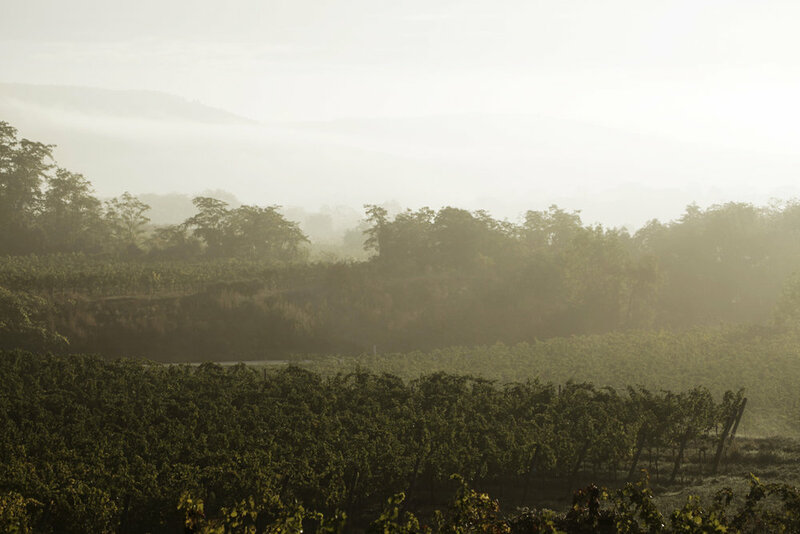 Christoph farms his 12 hectares of vines organically and is deeply committed to working in harmony with nature. For him, respecting the soils and the biodiversity in the vineyards is paramount to making high quality, authentic wines. He purposefully keeps his parcels small so he never has to compromise on quality. Christoph has vineyards planted on the Neuberg, Spiegel, Haasel, Steinhaus and Käfertal slopes. Although the majority of his vines are planted to the classic Kamptal white varieties - predominantly Grüner Veltliner and Riesling - he is also deeply passionate about Pinot Noir and produces some distinctive expressions of this grape variety.